Here comes the 2017 BET Awards, celebrating African-American accomplishments in entertainment and sports yet again. Hosted by Saturday Night Live fan-favorite Leslie Jones. LOGAN BROWNING- looking pretty in feathery pink. KARRUECHE TRAN- Miss K definitely got the memo, pairing her stunning purple dress with her newly done blonde hairdo. 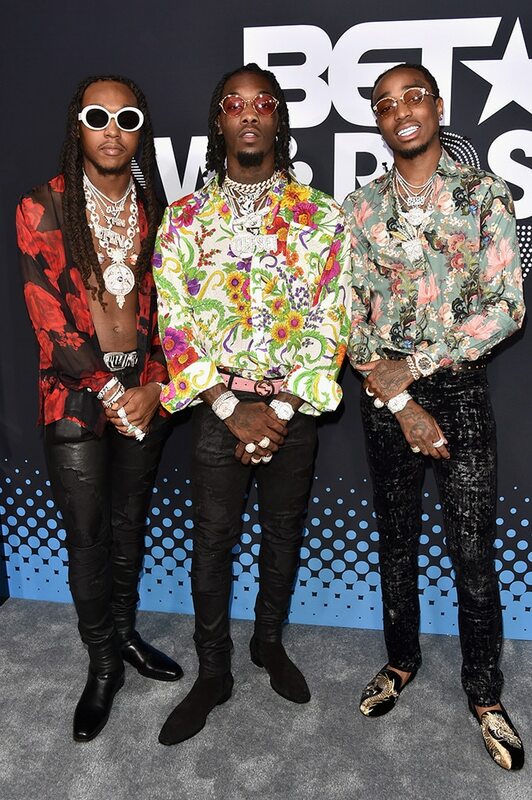 MIGOS – Maybe not entirely best dressed tag but the trio brought some swag in their printed shirts to the 2017 BET Awards. BLAC CHYNA- The E! reality showed off skin in her black sheer piece. 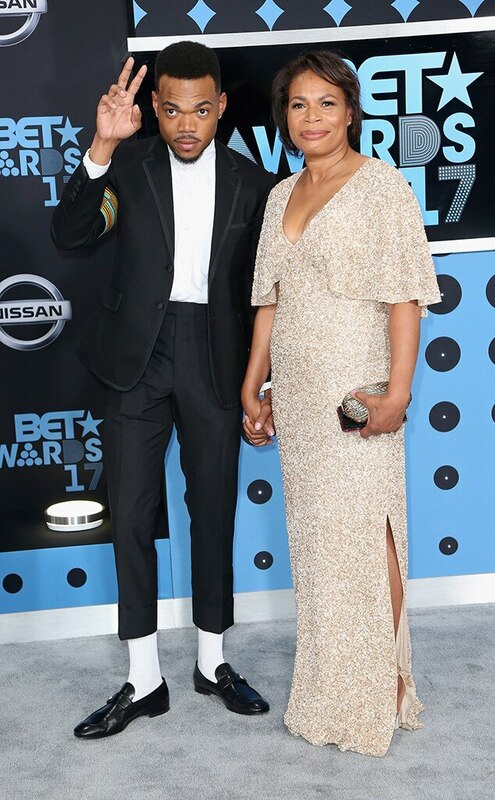 CHANCE THE RAPPER & LISA BENNETT- The rapper and his mother came to slay. Love, Love Love! KEYSHIA COLE – the singer donned a pale pink dress. 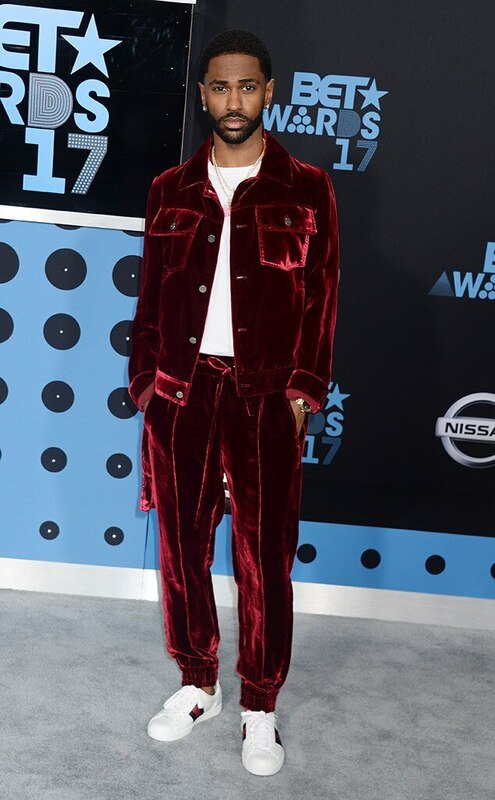 BIG SEAN – The rapper opted for a velvet suit. 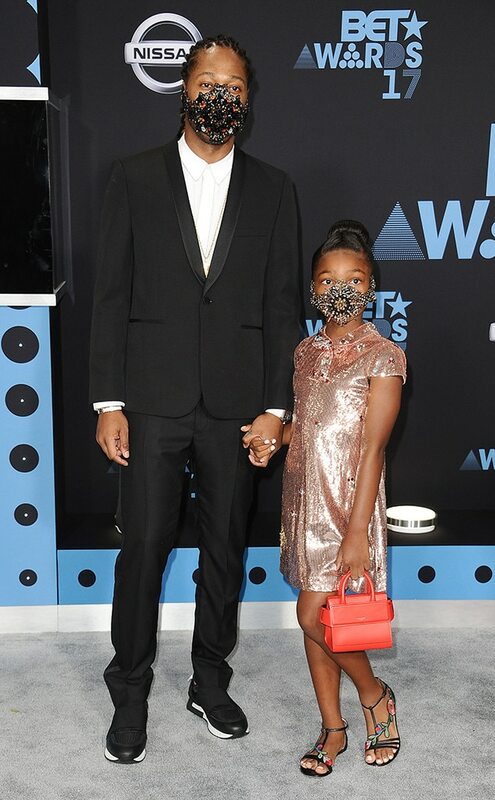 FUTURE & LONDYN WILBURN- The rapper and his daughter came in matching styles. EVA MARCILLE – The former’s America’s Next Top Model star opted for a white lace Fillyboo ensemble paired with golden long braids that we love so much. JADA PINKETT SMITH: The actress stunned in a golden metallic dress. CARDI B- The Love & Hip Hop star stunned in red. 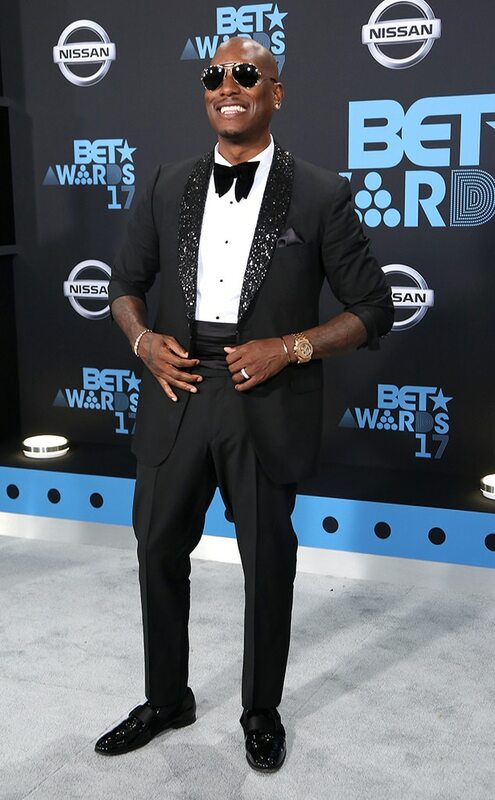 The 2017 BET Awards air Sunday night at 8 p.m. on BET.